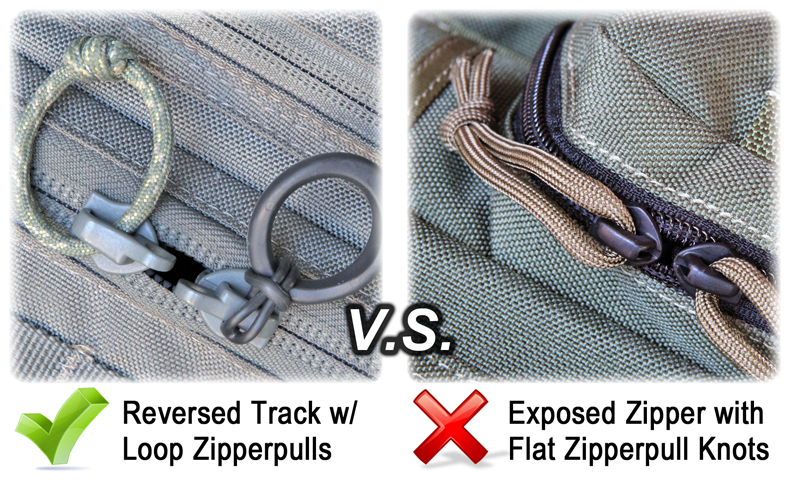 the sum of its parts.”- The Vanquest Team - Why CORDURA® fabric? 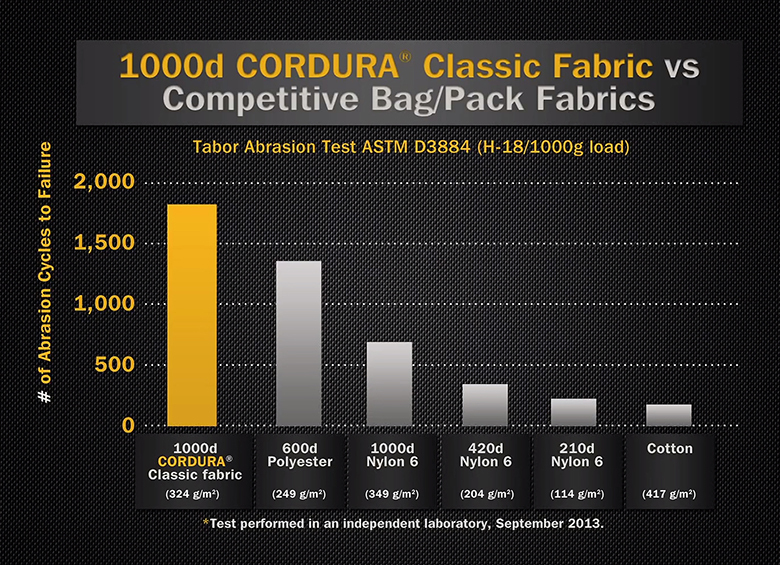 For more than 40 years, CORDURA®, the DuPont®-invented & battlefield-trusted fabric, excels on abrasion tests against other nylon fabric because of its unique air-texturized Nylon-6,6 yarn. 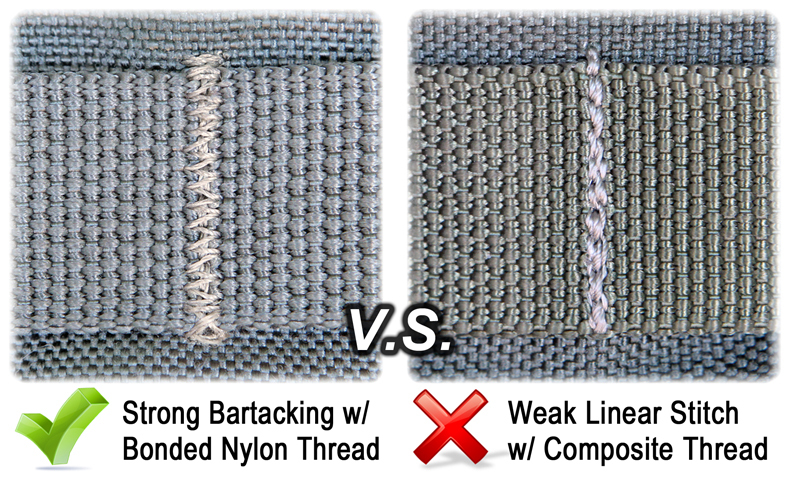 Also unlike generic nylon’s “loose” molecular structure, Nylon-6,6’s parallel molecular chains are held together by strong hydrogen bonds, making Nylon-6,6’s structure tighter, harder, and more abrasion-resistant. Despite of its higher cost, we use CORDURA® generously because we know durability matters to supporter like you! P.S. 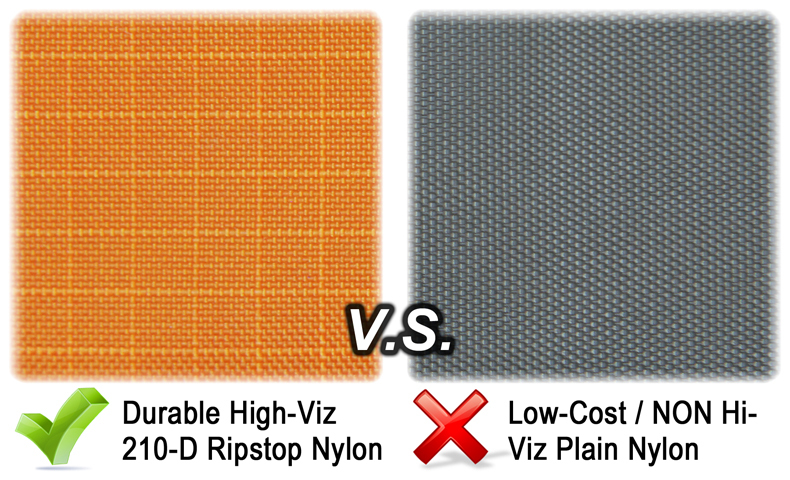 CORDURA's superior abrasion-resistant characteristic comes from its Nylon-6,6 air-texturized yarn, and by default, cannot be imitated nor substituted by the stiffness & heaviness of low-cost triple polyurethane (PU) coated 1,000-D nylon. 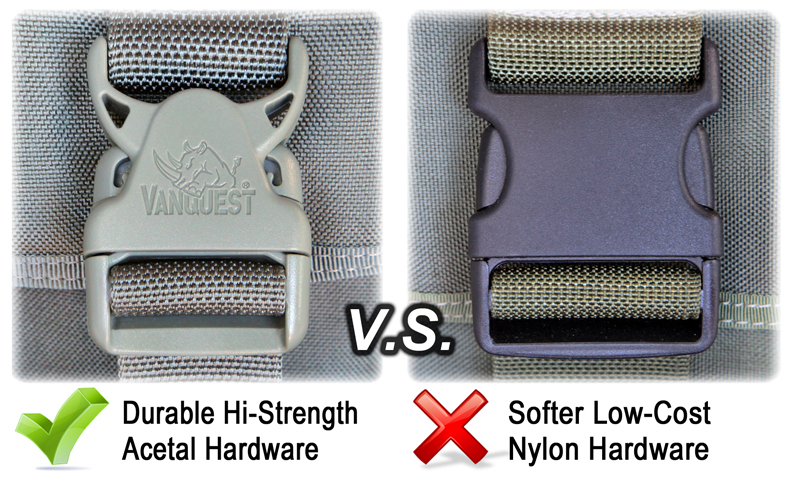 Search "Vanquest Cordura" on YouTube to see the difference.